On the THIRD day in Beijing, before heading to the Great Wall of China, the tour guide brought us to the Jade factory instead. I knew by then, that every item we bought from any factory she has brought us to, will reward her in commissions. It's OK for me just as long the things sold are practical. In this case... I'm no fan of jades. So I didn't buy anything. But learning about them was great fun though! The jade factory that we went to is shown below. I have no idea what it's name. Can anyone translate Chinese for me? The visit started with showing types of raw stones or slabs of jades found in different parts of the world. Mostly from China. Jade can come in many colors but differ in quality. The high-quality jades are Jadeite which are very expensive while the lesser quality jades are called Nephrite (source). Don't go asking me how to differentiate them 'coz I have no idea. LOL. Slabs of Jade to be carved! 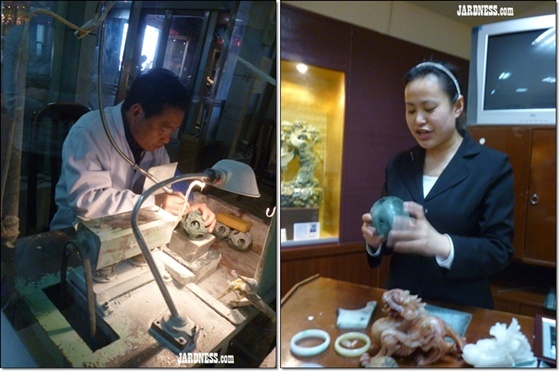 Inside the factory, we watched a man carving into the hard jade. He was pretty serious in his job and practically ignored our camera flashes. Hehe. Then we entered a room where a guide told us the stages of making a Happiness Ball. One of the most famous jade designs in China. Yes a happiness ball. Wonder if there's a sadness ball. LOL. They didn't ask us to buy anything, just released us to view the jades on display, free to buy or browse anything we like. Me? Browse only maa! Hehe. Happiness Ball - Also called "lucky ball", "family ball", or "generation ball". From 3 layers to 13 layers, one layer stands for one generation. Just like an extended family, it can bless people with happiness and reunion. There are 12 holes on a layer, symbolizing 12 months, may bless a family with happiness, harmony and good luck in a year. The dragon and phoenix stands for the emperor and queen respectively. Laughing Buddha - Also called "Maitreya", "happiness Buddha, " or "smelling Buddha". It is characterized by broad mind and big smile. It is said if you touch his belly, you can get good luck and successes, helps you overcome all your difficulties and frustrations easily. If you touch his ears, you can get happiness. if you touch his head, you'll become very intelligent and knowledgeable. There are five popular Buddhas in China, the laughing Buddha, goddess of mercy, god of longevity, god of wealth, and god of happiness. Jade Chinese Cabbage - shares the same pronunciation with Bai Cai (wealth) in Chinese, can bless people with a lot of money. The placement of the cabbage in your homes are important. No matter where you put it, you should ALWAYS place the "root end" inside and the other side facing the door, so that it can bring the owner lots of money. According to traditional custom, Northerner of china like storing a lot of green cabbages for winter that symbolizes they can store a lot of money. When choosing a jade Chinese cabbage, find one with long root and large vegetable leaf. RMB 225 per piece? You gotta be kiddin' me! Next stop is THE GREAT WALL of CHINA!! -- next entry. seronoknya dapat melancong mcm ni (>____<)"
@redlomo.. true.. hope u can visit there too. it's worth it! RMB 225 tu brape jard dalam RM??? 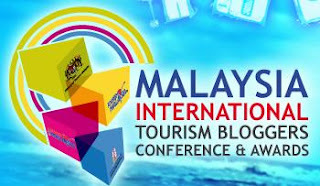 @hazman... hope to win.. tp pasrah klu tak menang. hehe..
Hi! Thank you,The information you shared is very informative. 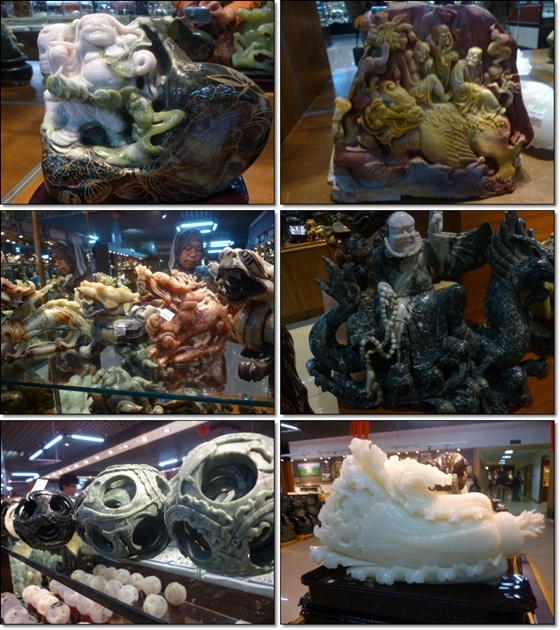 Visit website "chinese jade".